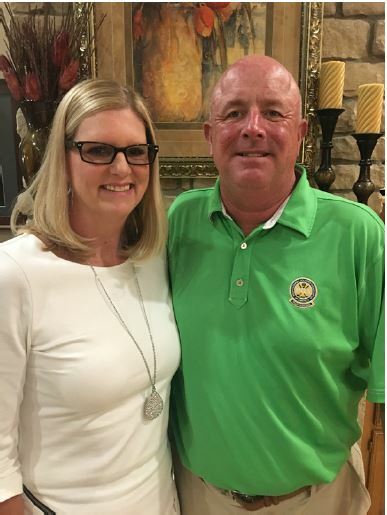 Dan and Janie purchased Millwood in 2012, fulfilling a lifelong dream of owning a Country Club, not just any Club though, Dan was hired initially in 1994 as the Director of Golf. In 1998 he was promoted to General Manager, and in 2001 Dan received 12% ownership in the Club. Millwood was very successful during his Management, but in 2008 Dan and Janie left the Club and sold back Dan’s interest to it because the principle owners hired a new CEO and she didn’t utilize Dan’s professional expertise. In 2012 Great Southern Bank contacted them to see if they were interested in purchasing Millwood. It was purchased November 1st, 2012, and it has been so much fun rebuilding the Club to one of the top Country Clubs in Southwest Missouri. Dad was a Golf Professional in Springfield and started his career at Hickory Hills Country Club, then moved to Grandview Golf Course, it then was named for Bill & Payne Stewart. Next, Dorl helped build Rivercut Golf Course as the Director of Golf, then he became the Director of all three City Courses in Springfield before he retired. He co-founded the Ozarks Junior Golf Foundation and built the Connie Morris Teaching Center and the Betty Allison Junior Golf Course. His last project was to redesign the Par 3 Course at Stewart that was called the Betty Allison at Oscar Blom, where all junior golfers play for free. Dan has been a Member of the PGA for 24 years, although this is his 30th year in the golf business. Some of his most prized awards include being in the Top 5% in the Nation in his PGA Certification; he was the 1995 Midwest Section Teaching Professional of the Year; 2003 he won the 40 Under 40 Award; 2005 Millwood won the Springfield Area Chamber of Commerce Curtis Strube Small Business of the Year Award; and in 2007 Dan was Inducted into the Ozarks Golf Hall of Fame, Received the Missouri Sports Hall of Fame Special Recognition Award, and he won the Midwest Section PGA Golf Professional of the Year Award. Dan and Janie both attended MU and MSU together. Janie has always used her Marketing Degree to support Dan and the golf business throughout the years with her Marketing expertise, but her main focus has been staying home with their two daughters, Abby and Hannah. Abby is graduating in May with a double major in Marketing and Management and is joining the Millwood Team as the Assistant General Manager. Her focus is in Marketing, Sales and Club Activities. Please welcome her to the Millwood Family! Hannah is a Sophomore at Missouri State University. She has been a Member of the Millwood Wait Staff since this Fall but is transitioning into Marketing and Website Management currently, on a part-time basis, while she gets through school. Dan and Janie feel that giving back to the community is very important and are the founders of the Children’s Charity, which they started in memory of Dan’s Mother, Judy Schumacher, who passed away from cancer in 1996. They also co-founded Champion Athletes of the Ozarks with Scott Bailes and Brad Beattie, which is an organization that raises money for kids with special needs. Over the last 19 years they have raised over $1.3 million for Children in the Ozarks. Many of their Millwood Members have contributed to and played in their charity golf tournament over the years and they really appreciate the Member’s never-ending support! Dan and Janie wake up every day and feel very blessed to be surrounded by an incredible community of amazing people! It takes a village and they couldn’t do it without the Millwood Membership! They want to personally thank all of the Millwood Members!